(Newser) – Kanye West has been out of the headlines for [checks notes] at least six days, but a tweet about fast food has catapulted him right back into the thick of it. 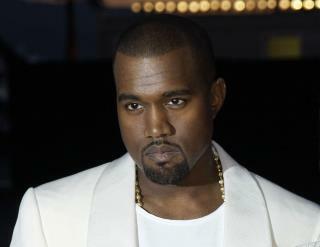 Fox News reports on Ye's latest kerfuffle, which started when he posted a brief message to his Twitter fans on Sunday morning: "McDonald's is my favorite restaurant." Someone in the Burger King UK office must've been surveying the internet from across the pond, because shortly after came a snarky response to West from that account: "Explains a lot." Kanye, we all love McDs. But we're not dumb enough to admit it. Let alone Tweet about it. Oh well, but BK does have a decent veggie burger, leave out the mayo and it's vegan! Love BK's response! West is one of America's biggest bags of hot air.